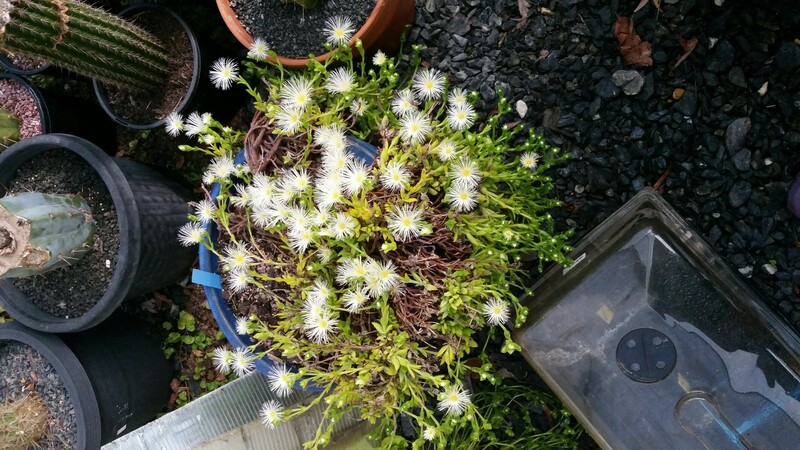 Spotted this and 2 other flowers on my Sceletium this morning. It doesn't seem to produce seeds on its own or at least it didn't last year. I hope my other seed-grown one blooms too so I can attempt to cross pollinate. Always had a hard time locating the stigma (that's what she said ) on these flowers, do you guys know if Sceletium is dioecious? only few flowers so, hand pollinate. 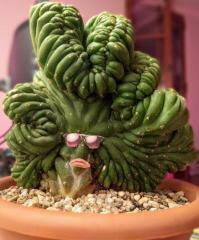 Weird, mine is flowering too. But your in a completely different climate/area from me. 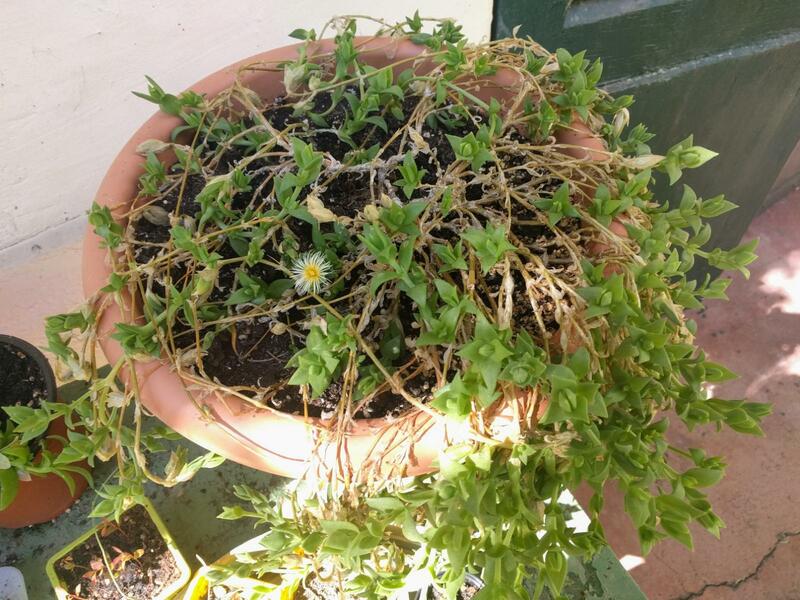 Yeah I don't really understand the cycles of this plant, it flowered for me in early spring (around Feb/March) then went dormant and skeletonized during most of the summer then started growing actively again around the beginning of August. 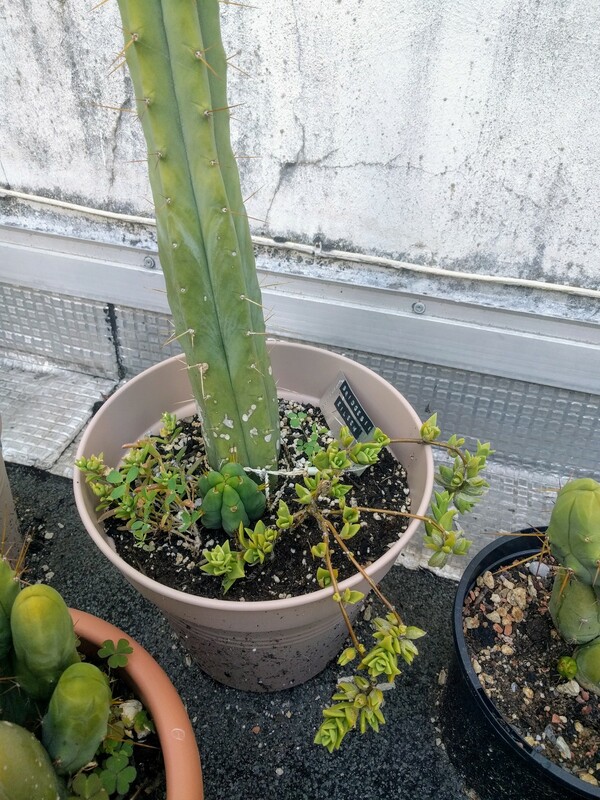 I started this plant last year from a small cutting and it stayed under lights for its first 6 months or so. I hand pollinated it last time it flowered, but like I said the flowers don't seem to have a stigma, only stamens. That makes me think Sceletium is probably dioecious and I have a male. Hopefully the one I grew from seed is female if that's the case. That makes me think Sceletium is probably dioecious and I have a male. give her super growing conditions, and she will produce seed! Thanks PH, I'll try pollinating it again but so far all my attempts have failed, and everyone I know who's had flowers never saw a seedpod. I actually can't find a single picture of what a kanna seedpod looks like. Stamens are kinda hidden, what you obviously see are stamenodes. Which makes me think of a special pollinator, but info is in short supply. Humidity may be an issue as well (? ), it's pretty hard to do desert dry here and under 100mm annual rainfall. The plants cycles are desert survival . It's hardwired into it no matter how you treat it. Most of the seed (s. Tort) I played with was another species, and possibly some hybrids... Which was annoying.